The Fall 2017 edition of What’s Happening covers new innovations in photo printing. It includes details on the new Kodak Moments app as well as the latest Canon large-format Océ printer. In addition, we take a look at Fujifilm’s newest Instax instant printer and the newest addition to Blurb’s line of photo books. 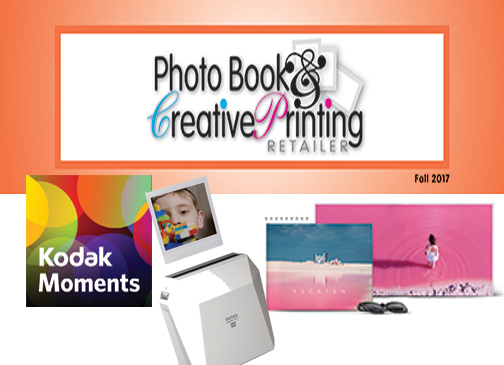 Kodak Moments’ new premium photo printing platform helps “people effortlessly discover, curate and print the moments that matter the most.” Kodak Moments is the consumer-facing division of Kodak Alaris. 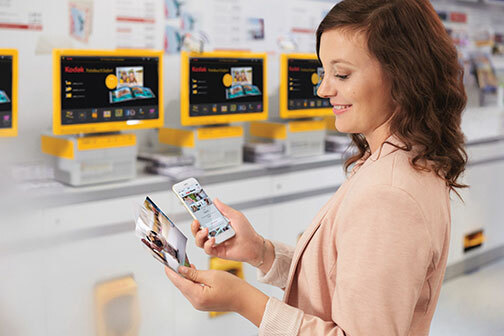 The platform includes an e-commerce website, expanded functionality on the Kodak Moments app, curated premium photo products, and also an improved experience using Kodak Moments kiosks. Moreover, it was built to address the belief that authentic moments are harder to identify in today’s culture. By helping people more easily engage with their memories, the platform draws inspiration from a “Kodak moment,” a phrase so ingrained in the lexicon that it is now in the Oxford Dictionary and has 450,000+ hashtags on Instagram. Furthermore, the platform offers two industry-first features to make it easier to rediscover memorable moments. Within the Kodak Moments app, the Made for You feature searches images in a smartphone’s camera roll to identify the most meaningful photos. It then displays them on Kodak Moments products. Fujifilm’s Instax Share SP-3 SQ printer is the latest product in the Instax Share printer series that prints photos taken with a smartphone on Instax Square film. The SP-3 was developed to give users more ways to get creative with their instant pictures that can be shared in-person and online with #myinstax. 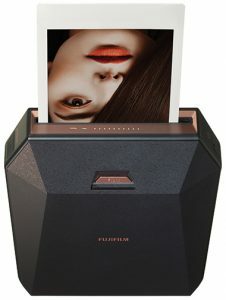 The device can also print directly from Fujifilm X-series cameras. The square format is widely popular among smartphone users. 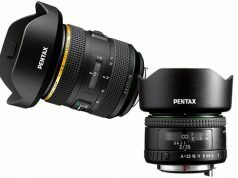 “With a 1:1 aspect ratio, this format is an effective artistic style and a long-standing favorite among photography lovers,” Fujifilm announced. Recent years have seen a rise in the sharing of square photos on social media platforms, such as Instagram. The compact, lightweight SP-3 comes in white or black bodies with a sleek, multi-sided design. It produces images with print pixels of 800×800 dots and 318 dpi to show detailed gradations and even facial expressions of full-length portraits. And it can print images in 13 seconds. Moreover, it can produce 160 prints per battery charge. It also incorporates Image Intelligence, a proprietary image-processing technology that automatically sets the optimum brightness during printing. 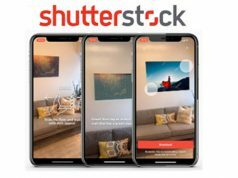 The SP-3 works with Fujifilm’s updated free Share app, which now offers features to make each step easier, even for novice users. New functions include collage template; my template, which adds text to photos and offers 11 templates; split template; the SNS template for printing images on social networking services (SNS); real-time template, which places the date, place and weather in the frame; and hashtag print, which searches photos on social networks like Instagram. A leading creative book self-publishing platform, Blurb launched its layflat photo books. The books use double-thick, layflat paper, so customers can showcase their creativity across a two-page spread without losing any part of the image to the gutter. Using Blurb’s suite of free creative tools, including its plug-in for Adobe InDesign and its PDF Uploader, customers can create books that display every part of the page for true panoramic photos. “We worked hard to create a book that retains the bookstore-quality look and feel valued by creative professionals and personal bookmakers who use the Blurb platform. Creating new layout possibilities, layflat allows customers across skill levels to tell their story in an impactful way, from personal vacation books and wedding books to portfolios,” said Todd Larsen, CEO, Blurb. Blurb’s layflat photo books start at $49.99 for 20 pages in Blurb’s small square, 7×7-inch book. With a maximum of 110 pages, Blurb’s latest offering has more room for images. As a result, it is said to be among the largest layflat books on the market. The Océ Colorado 1640 wide-format printer is engineered to help deliver production efficiency while lowering operating costs for roll-to-roll printing. In addition, the printer is powered by UVgel. Analysts in the wide-format market report more than 40% of jobs need to be turned around within 24 hours. That’s why Canon Solutions America developed UVgel print technology. This wide-format print technology was designed to increase productivity, enhance print automation, address a wide application range as well as lower costs. The roll-to-roll printer is geared for indoor and outdoor display graphics. It is said to deliver a large color gamut, similar to solvent inks. Moreover, it combines this with the environmental benefits and safety profile of latex and UV-cured printing. Specs state outdoor banners can be printed at 1,710 square feet/hour and indoor POP at 610. The printer’s heavy-duty drawer mechanism holds two rolls of media, each weighing up to 110 pounds. They can be the same media type and size or different media. Also, the print engine can switch jobs between rolls without operator assistance. Previous articleWhat Have You Printed On Lately for B2B?